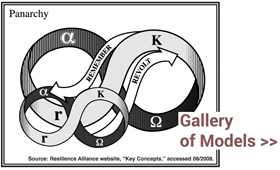 “Activism is not a journey to the corner store; it is a plunge into the dark” — Rebecca Solnit, writing in the spring of 2003, after massive global demonstrations had failed to stop the war in Iraq. Nobody knows the consequences of their actions, and history is full of small acts that changed the world in surprising ways. Solnit’s wisdom stands in counterpoint to more tangible efforts at evaluation of systemic social interventions, which remain invaluable. 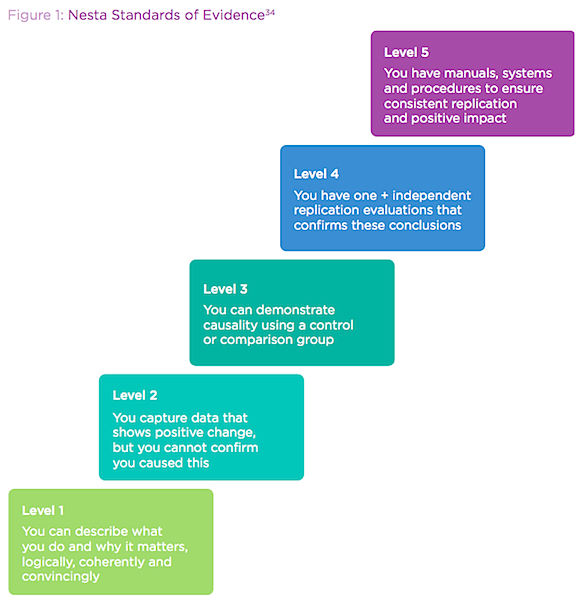 See also: Caroline Fiennes on the Nesta evidence hierarchy. 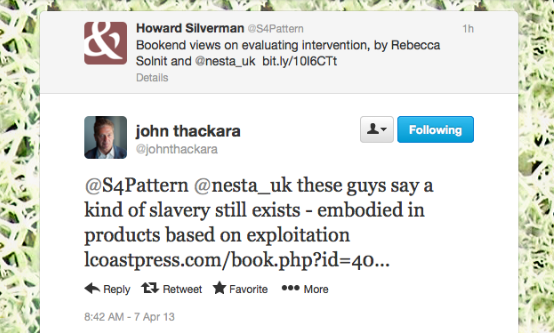 Update: John Thackara follows up with the observation that, by other definitions, slavery has not been “abolished” — linking to the new book Cultures of Energy.